We did our final beach survey for emerging nests on 9 August. 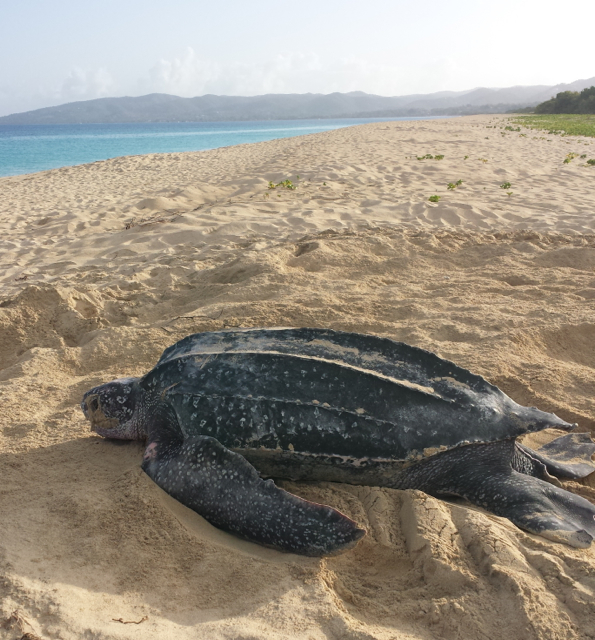 We had a fantastic year protecting emerging hatchlings and we released over 5,000 leatherback hatchlings safely into the sea. We were able to fully or partially support over 15 volunteers and students during the nesting and hatchling seasons of 2016. Each one of them went away with memories of a lifetime experience helping animals. In the photo above, Duke graduate student Sarah, who studied injuries on nesting leatherbacks for her Masters, watches over an emerging nest. *** all photos displayed on this site were taken under the appropriate permits.